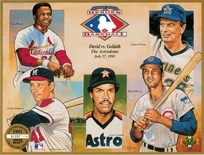 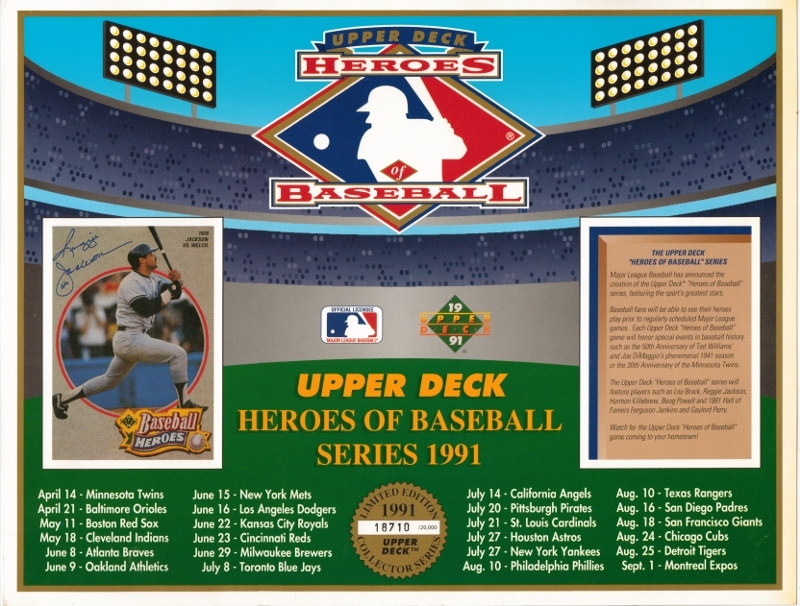 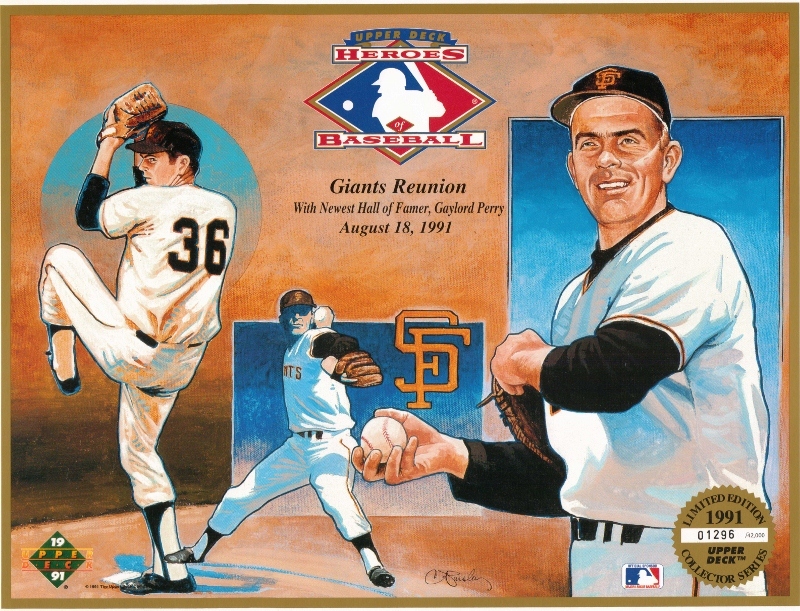 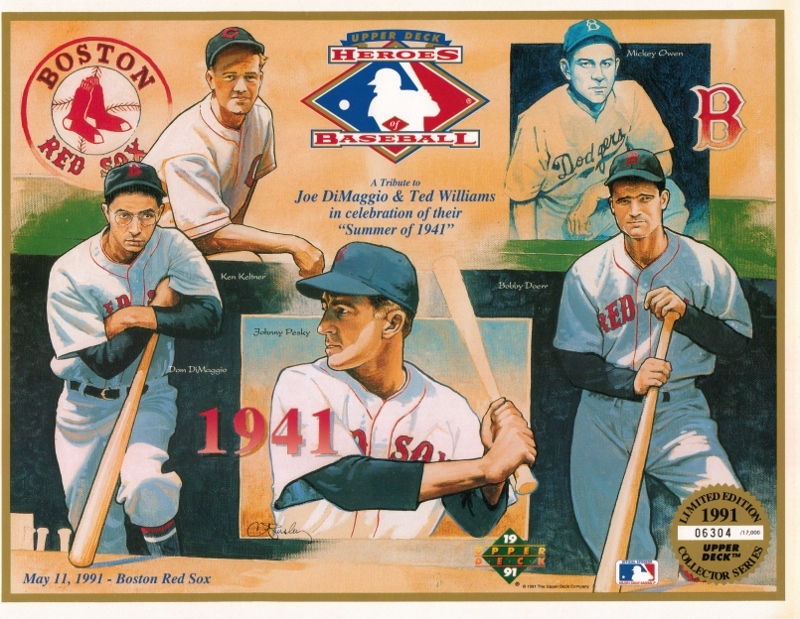 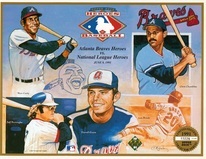 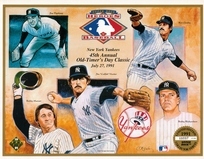 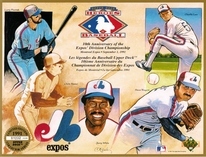 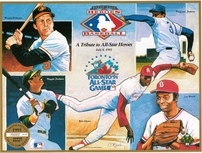 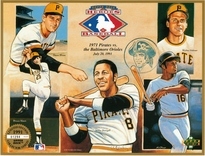 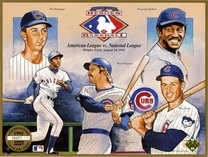 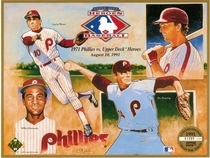 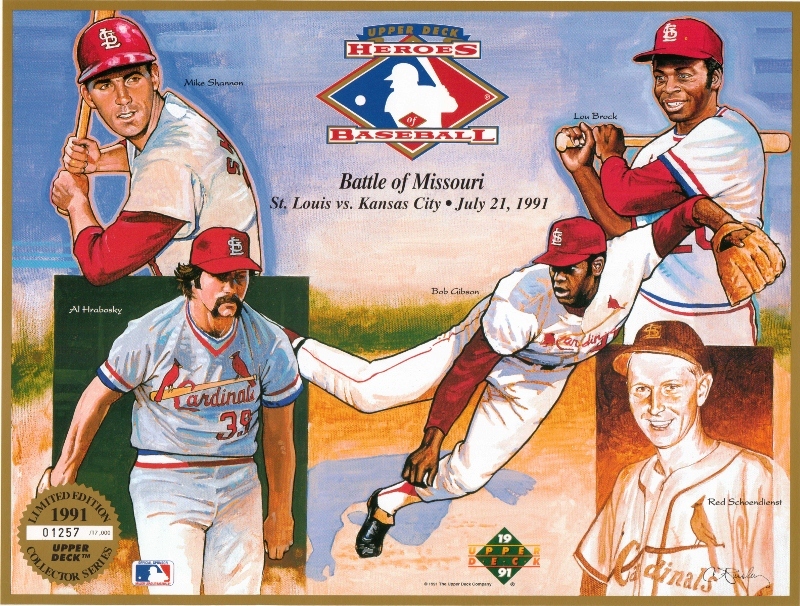 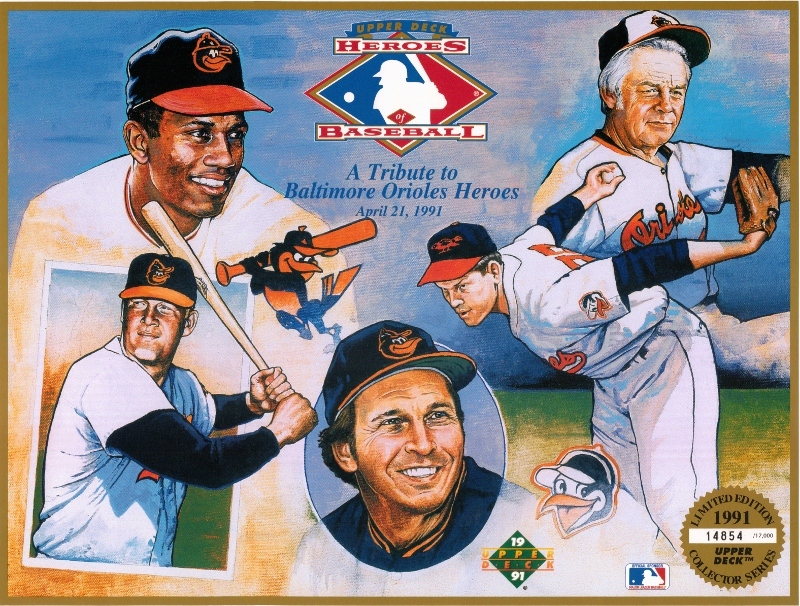 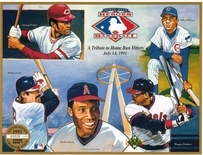 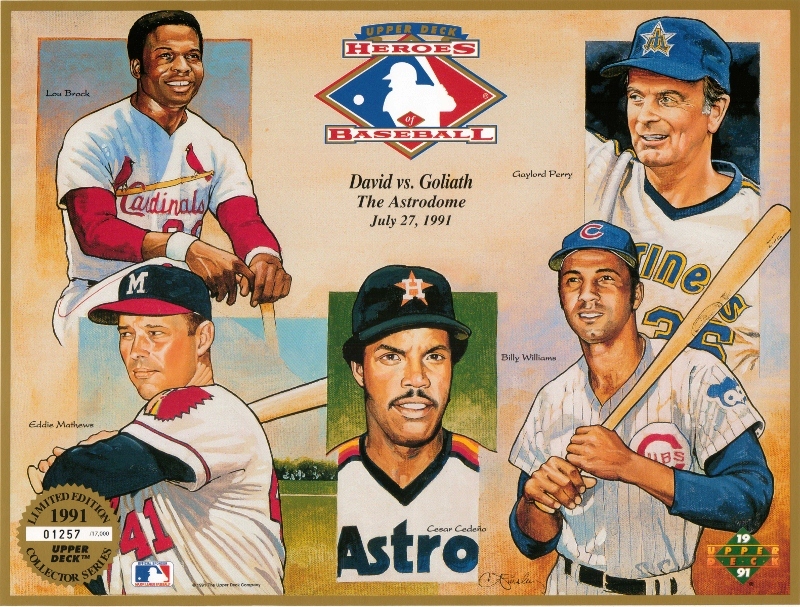 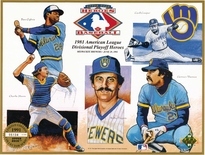 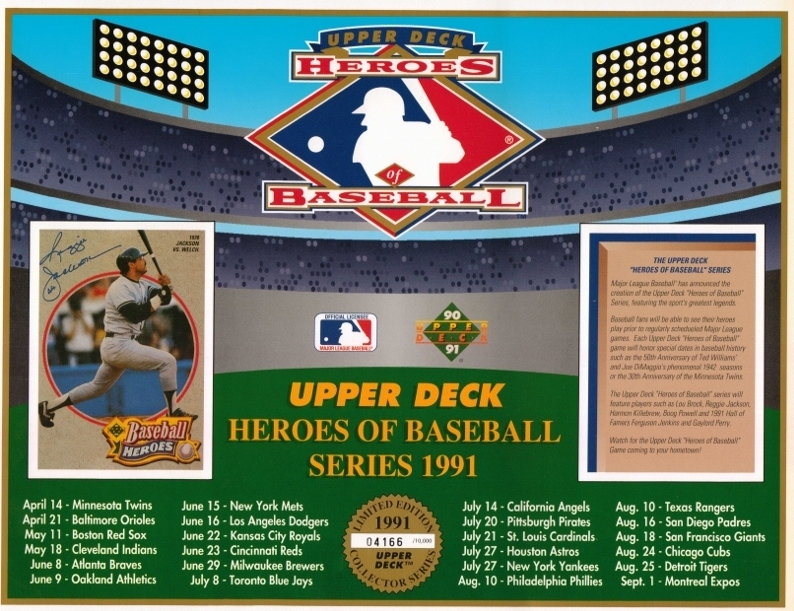 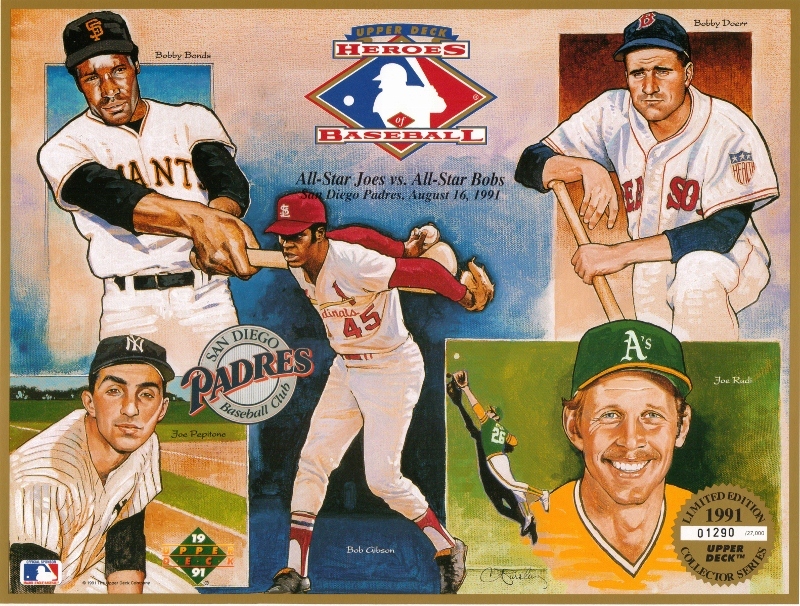 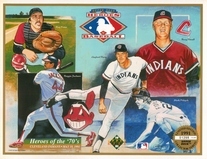 In 1991 Upper Deck organized a sieres of "Old Timers Games" events at Major League ballparks nationwide. 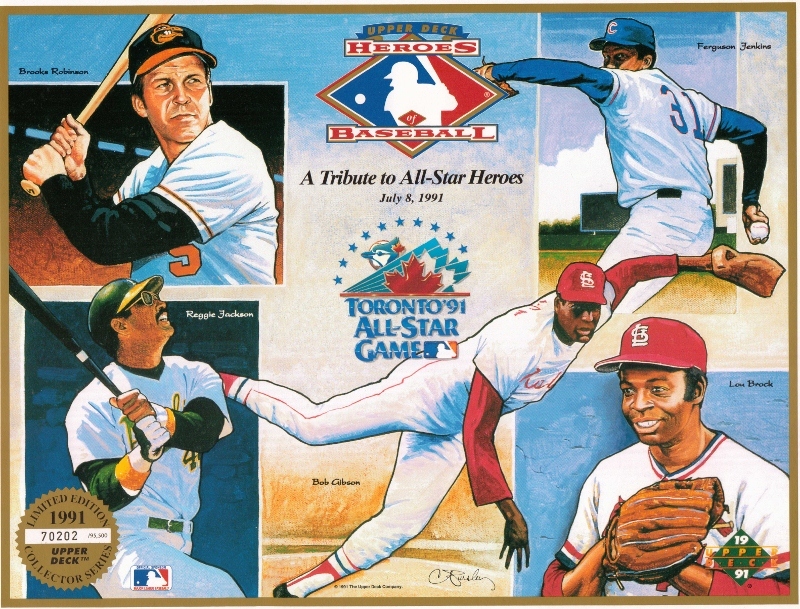 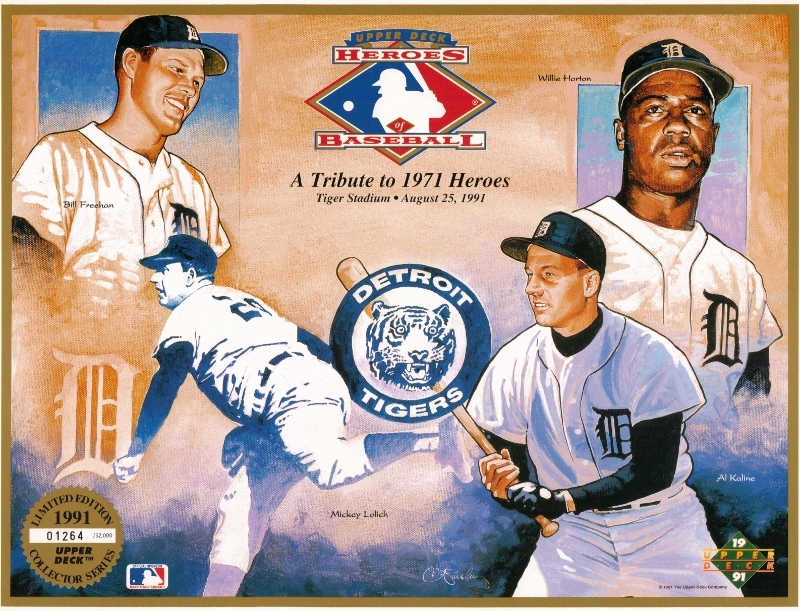 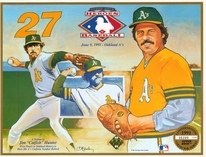 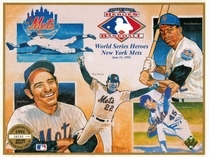 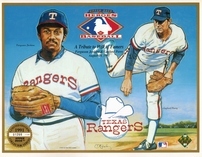 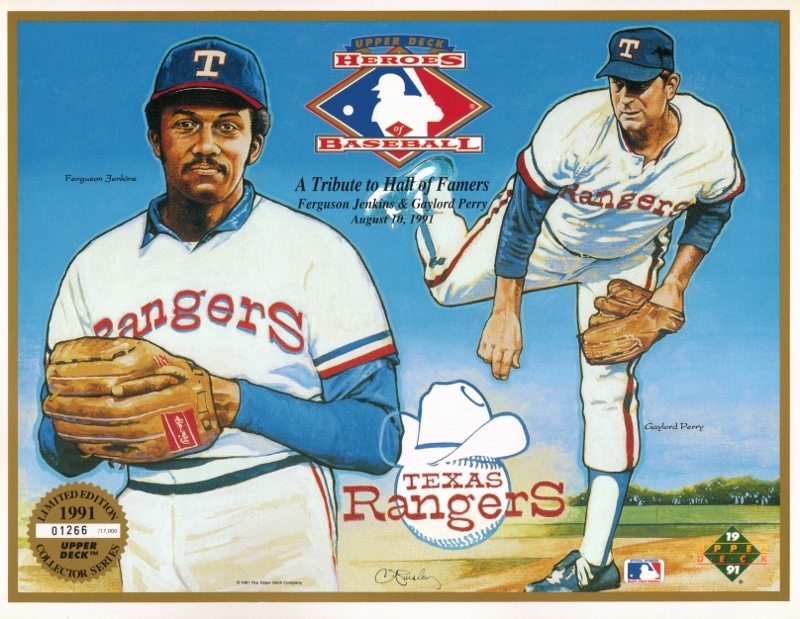 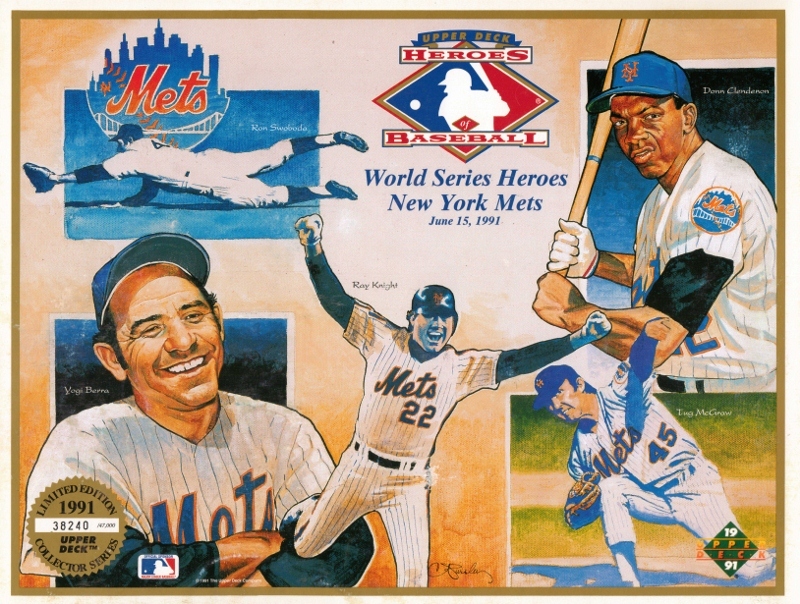 For the 1991 Heroes of Baseball games Upper Deck did twenty three sheets. 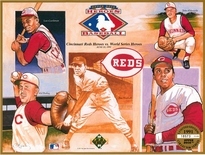 With their being two versions of the cover sheet, one numbered to 10,000 and the other numbered to 20,000.